DISCLAIMER: I am not a financial expert. All of the advice in this column is given to the best of my personal knowledge and experience and is meant for informational purposes only. Also, while all of the below is, to the best of my knowledge, accurate as of January 2015, this may not be the case for those of you reading in the future. If you're serious about writing as a career, please make sure to draw your knowledge from a wide spread of verified sources, and don't make important financial decisions based off any single post you read on the internet, not even mine ;). DISCLAIMER #2: This is a post about self publishing and money, not a how-to guide. If you want to learn how to self-publish your book, Life Hacker has a quick, non-scammy guide to the basics. 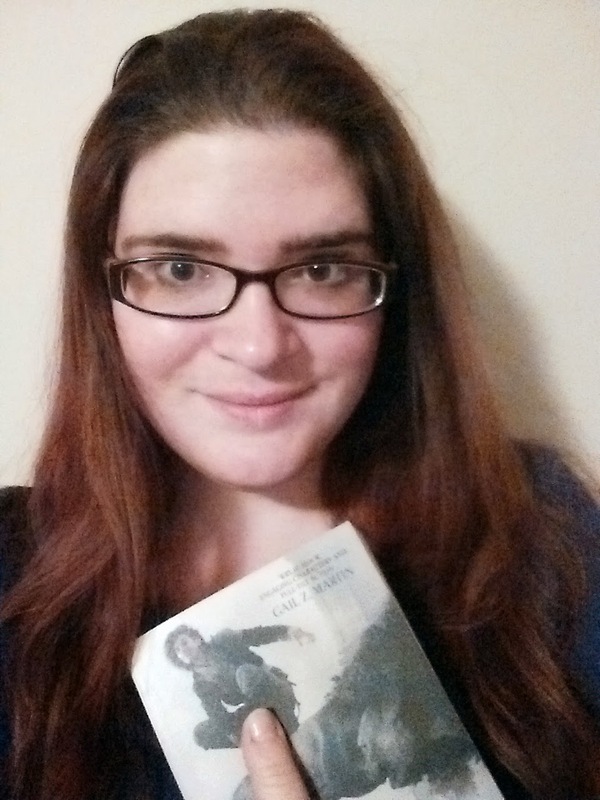 On a personal note, I've posted here about the cost and process of self-publishing my own book and my reasons for doing so if you want the Rachel side of things. In Part 1 of this series, I talked about how authors earn money from traditional, advance paying publishing, also known as "Trad" or "New York" publishing. Self-publishing income is the flip side of the publishing coin, and though is not nearly as complicated as its traditional counterpart, its methods of payment can still be unnerving, especially if you're an established author who's used to the advance system or, for that matter, a worker who's used to getting a regular paycheck. But before we get into the individual oddities, let's take a look at all different ways self-publishers have to earn their living. Online bookstores (Amazon, Barnes and Nobel, iBookstore, Google Play, all the places that sell your book to readers) represent the lion's share of self-publishing money. Amazon in particular is king when it comes to actually earning an income from the sale of your self published titles. There are slight variations between the online sellers, but generally speaking, all the online stores pay via the same basic percent-of-sales price model. For example, let's say have a book up for sale at Amazon.com for $2.99. Every time a reader buys that book, Amazon will pay you 70% of that $2.99 cover price (about $2.03, minus the cost of actually transferring the file, which is usually fractions of a penny for books without illustrations), and keep the remaining 30% for itself as its commission. On the other hand, if your book is priced below $2.99 or above $9.99, the numbers flip, and Amazon.com will pay you a 30% royalty rate while keeping 70% of the cover price to itself. The reason for this is because Amazon's business model works best when book prices live between these two prices, and so Amazon incentives royalties accordingly to encourage authors to price the way that makes them the most money. There are a few other variations in the model depending on factors like what country you're selling in/to and whether or not you're in Kindle Select (you can read all the fine print here), but GENERALLY SPEAKING, the 30/70 cover price split is where it's at. 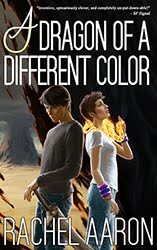 For example, each sale of my book, Nice Dragons Finish Last, which is currently priced at $4.99, earns me approximately $3.49 (70% of $4.99) while Amazon keeps the rest (30% of $4.99, or $1.49). By contrast, each sale of 2k to 10k, which is priced at $0.99, earns me $0.33 (30% of the $0.99 cover price) while Amazon keeps the rest. Now, some self-pub authors, particularly short story writers whose works aren't long enough to command a price higher than $2.99, take great umbrage to this ring-in-the-nose royalty structure. As a novelist, however, I've never really had a problem with it. Also, non-Amazon retailers don't have these rate variations at all. Smashwords, for example, pays a flat 85% of cover price no matter what. That said, though, even the lowest rate of 30% of retail is still worlds better than anything you see in the traditional publishing world. To put this in perspective, let's look again at the table showing traditional royalty earnings for print books I posted back in Part 1. As you can see from the royalty rate I've highlighted, Amazon's lowest 30% royalty rate is still 3.75 times higher than the standard traditional publishing royalty for paperbacks. But, then again, we're comparing apples to oranges here. Paper books have a lot more overhead than ebooks. So, for comparison's sake, let's review how traditional publishers pay authors for ebook sales. Unlike print royalty rates, which vary from publisher to publisher (especially when you get into hardbacks, where royalty rates scale with sales, sometimes up to 30% for the really big names), ebook royalty rates are in lockstep throughout the industry at 25% of net. Now, 25% is much better than 6-8%, especially since the publisher's net revenue is much higher since they don't have to pay those printing costs. You're basically getting 25% of the wholesale cost, which, on the example $15.00 list price book above, means 25% of $7.50, or $1.87. So, in the absolute, best case scenario for Traditional Publishing, a $15 ebook paying the industry standard 25% of net ebook royalty would earn its author about $1.87 per sale. By contrast, a self published ebook uploaded to Amazon and priced at $4.99 for the 70% royalty would earn its author $3.49 per sale. This enormous difference in earning potential is the crux of the Trad Pub vs Self Pub debate when it comes to money. The hard truth, and the main reason self-publishing is exploding right now, is that a self-published novel can be priced at less than half the cost of its traditionally published competition and STILL earn its author nearly three times as much per sale. Say you're an author, and you need $30,000 in royalties a year to quit your job and live off your writing income. If you went with a traditional publishing, you would have to sell 16,042 ebooks with a cover price of $15.00 to earn that in a year. But if you decided to self publish that book instead, you would only have to sell 8595 copies at $4.99 to earn the same amount. This means a self-pub author only has to sell 1/2 as many books at 1/3 the price of her traditionally published competition to earn the same yearly income. As you can see, the mathematical advantage of self-publishing is pretty staggering. Also, unlike Traditional Publishers who pay every six months via a check in the mail, Amazon and the other online retailers pay monthly via direct deposit to your bank account. Being paid regularly and quickly might not seem like that big a deal, but let me tell you, as someone who's spent the majority of her writing career planning around a bi-yearly paycheck, getting money deposited automatically in my bank account every month is a life changer. But awesome as all that is, ebook sales aren't the only way self-published authors make money! Book subscription services like Kindle Unlimited, where readers pay a flat monthly fee for unlimited reading, are a relatively new thing in the self-pub world. The fee structure is not nearly as straight forward as the basic sales model above, but in a nutshell, authors with books in a subscription service get paid a flat amount every time a reader downloads their book and reads to a certain percent. I can't speak to independent subscription services like Oyster since I've never enrolled a book, but Kindle Unlimited pays when a reader reaches 10%, and the funds come out of a global pool that is divided equally each month, which means every borrow every author gets each month pays the same amount regardless of book length or illustrations. But, because the total number of borrows in the program and the amount in the global pool changes from month to month, the KU payout per borrow also varies. At the beginning of KU, authors were getting close to $2 a borrow. Now the average payout has settled around $1.30, but even that could change any month. As you might expect, this variance payments has caused many self-pub authors to give KU the hairy eyeball. Also, enrolling your book in KU means making it exclusive to Amazon, so you sacrifice sales you could have been getting from other stores. That's a lot to ask of authors, and many big self-pub sellers are vehemently against KU for exactly these reasons. Other authors like myself, however, have had great success in KU, mostly because readers subscribed to the service see our books as costing $0.00 when they're browsing the Amazon marketplace. Now, of course, they're not actually getting the book for free since they're paying $9.99 a month to be in KU, but that's not how human rationality works. They see that $0.00 and think they're getting something for nothing, and that "free" mentality makes them far more likely to take a chance a relatively unknown author like myself, AND I still get paid! True, $1.30 per borrow is less than the $3.49 I'd make off a sale, but there's no guarantee that KU subscriber would have even seen my book without the visibility boost from KU. It might not be optimal, but $1.30 and a new reader who might go on to buy my other books is much than nothing. Then again, this is just my opinion based on my current position as an author (and some solid numbers, which I've laid out here if you're interested). If you write long books that command a high price and sell well on multiple channels, KU would be a terrible decision. It's up to you to look at your own career, or what you want that career to be, and make your own call. Hold up a second, Rachel. For an informational blog post about self-published writers and money, you sure seem to be hedging your language. What gives?! Welcome to the "self" part of self-publishing! In my trad publishing post, I was able to say a lot of things for certain because authors don't have a choice to do it another way. I can't suggest you choose a big trad publisher who pays monthly because none of them do. Same for finding a different ebook royalty rate or even a publisher who will guarantee advertising your book. Trad publishing is a set game, and unless you're a giant seller, there's not much you can change about the payment portion of your contract. Self-publishing, by contrast, is ENTIRELY self-determined. You can choose to put your book on every retailer/subscription service that will take it, or you can slap it up on Amazon and never look at it again. It's up to you. EVERYTHING is up to you, that's why it's called "self" publishing. When you upload a book to sell, you are basically beginning your own small business. You wouldn't open up a coffee shop without researching how to do it, would you? The business of being an author is no different. If you want to be successful, or at least give yourself the best shot at it, you have to do your research. Not just at the beginning either, but always, because the business of self-publishing is constantly changing, and part of your job as a self-published author is to keep up. This is what I mean when I say self-publishing isn't for everyone. Some self-publishing pundits argue that, because of the incredibly advantageous money situation I mentioned above, self-publishing is the only intelligent way to put out your book. I vehemently disagree. To point out the money and ignore the rest is to say that money is the only thing that matters, and we all know that's not true. Every author wants to be paid, of course, but there are other factors in this business that are equally important, like happiness and aptitude. If you're the sort of person who hates the idea of running a business, or if you would rather be famous and well respected than rich, then self-publishing will probably be stressful and unrewarding for you no matter how much money you make, and that's no good at all. What's the point of living the dream if doing so makes you miserable? I realize all this happiness talk is a bit of a tangent from the money angle of self-pub, but with so much of the positive press around self-publishing centered on authors laughing all the way to the bank, I feel the other aspects of authorship, the perks and pitfalls that have nothing to do with income, need to be highlighed extra bright. That said, I've been over this ground before. So, if you want to know more about the non-monetary differences between self and trad pub, please read my previous post on the topic. For the rest of us, let's get back to the money! It's no secret that, for most authors, the biggest chunk of self publishing income comes from book sales and, more recently for some, subscription services, but these are by no means the only way a self-pub book earns money. Just as traditional publishers offer their titles up in a variety of alternative formats like print, audio, and even graphic novels, self-publishers are doing the same. Gone are the days of paying thousands of dollars to a printer just to have a garage full of books. Services like CreateSpace let you create and sell print editions of your books on Amazon, and they'll print and ship the titles for you for a small cut of the sale price. Not a bad deal! Even audio book studios are courting self-published titles now. My own Nice Dragons Finish Last was picked up by Audible.com, not to mention services like ACX that hook indie authors up with narrators to produce high quality, relatively low cost audio editions. Now, both CreateSpace and ACX are owned by Amazon, as is Audible for that matter, but before you call me an Amazon fangirl, please note that these companies were already the indisputable front runners in their respective areas, which is why Amazon bought them. Amazon was the first big company to see the money in self-publishing, and they've ruthlessly maintained their position at the crest of the wave ever since. Whether this is a good thing or a bad thing is a very nuanced conversation that changes depending on whom you talk to, but no matter which direction your Amazon love/hate meter points, the truth remains that self-published authors now have access to alternate formats that were exclusively available to big publishers only a few years ago thanks in large part to Amazon's investments. It's a new frontier to be sure, but just like selling rights in trad pub can bring in extra income, diversifying your sales as a self-pub author can widen your income stream enormously. Plus, every new market you enter is a new chance for your book to take off! Finally, and I'm going to stick this on the end since I've yet to try it personally, the foreign translation market for self-pub books has really taken off. Best Selling Romance author Courtney Milan in particular has had great success in getting making her self-pub books available to the international market, so I'll defer to her on the topic. We've now gone over some of the major ways self-published authors make money. Not all--if I've learned anything from self pub, it's that there's always another way to make money--but a fair sample. All of this said, though, the question remains: can you make a living as a self-published author? And the answer is...it depends. Before you get up in arms, let me explain! It is obviously entirely possible to make an enormous amount of money as a self-published author. Many of the new book millionaires are self-published, and even on the more moderate end of the scale, I made over $42.000 in four months from sales and borrows of Nice Dragons Finish Last. That's not chump change, but it's also not typical. Grand as the math behind self-publishing sales can be, not everyone gets those sales. Unlike getting a traditional book deal, which generally guarantees you some kind of payment in the form of an advance, there are no guarantees of profit in self-publishing. It's completely possible to write the best book you can, give it the best cover, editor, and blurb you can manage, and still sell nothing. Also, you have to pay for all those covers and editors out of your own pocket, which means you can easily end up operating at a loss if sales don't meet your expectations. When a publisher buys your book, they are taking on these risks for you, which is how they justify keeping the lion's share of the profit. When you go it alone, though, all of these costs are on you. For example, it cost me $3000 to put Nice Dragons together. This is money I paid just to edit and package the book, it doesn't include the months I spent doing the actual writing. If you factor in the lost income from those months when I could have been working on something else, Nice Dragons probably cost me about $15,000 all together. I knew this number going into the project, and I went forward knowing full well that was money I might never get back. That might sound scary, but with great risk comes great reward. In exchange for taking on these cost burdens yourself rather than relying on a publisher to shelter you, your income potential as a self-published author eclipses that of your traditionally published brethren. Also, costs are a truth of any business, and the few thousand it takes to put out a pro-quality book is chicken scratch compared to the expense of starting another small business, like a restaurant. That said, putting down thousands of dollars on a dream of being a writer is not a risk everyone is in a position to take. Self-publishing, like any business, is not without cost or risk, and anyone who says otherwise is selling something. But even if you do have the money available to put out a quality title, the costs of self publishing aren't all monetary. As I mentioned earlier, success in publishing is not a set value. Everyone has different dreams, and while self-publishing wins the money game hands down, not all dreams are made of money. For example, even if you're super successful best seller, your chances of becoming a household name as a self-pub author are next to zero. You will never receive the automatic respect and legitimacy even the newest of traditionally published authors receive, and unless you get a print deal with a traditional publisher, chances are you'll never see your book on a bookstore shelf, either. No matter how fantastic your book is, your chances of being nominated for a major industry award like the Hugo or the Nebula are close to zero (the exception here being Romance, where self-pub books have won RITAs, though even here, the nomination rate is still heavily weighted toward trad books). These are not small costs, and they should not be paid lightly. On the other hand, though, every self-published author enjoy a level of freedom in their careers that even the most successful traditionally published authors can't reach. At any point, I can decide to change my prices or my covers, even my titles. I can take a book down, edit it again, and put it back up. I can bundle my books in value-priced collections, or put the first of my series in a multi-author bundle to reach new readers. Any one of these would take months to arrange at a New York publishing house, if it could be arranged at all, but these are all things self-published authors do all the time on the fly. But best of all, being self-published means you have the freedom to write in whatever genre, or mish-mash of genres, that strikes your fancy, and if the book doesn't sell, you can change it. There's no contract to lock you down, no one telling you to change your name or your title, no one making decisions about your book for you. For some authors, this is enough rope to hang themselves. For others, it's open sky. How you see it will be largely a matter of personality, but for bossy people like myself who prefer to do things themselves, self-publishing is like walking through the wardrobe into Narnia, only we don't have to fight the White Witch for our crowns. We're kings and queens of our own careers from the moment we hit publish, and for those who like that sort of thing, that's a feeling that's worth more than money. Overblown rhetoric aside, all of this is to say that the question of "Can you make a living in self publishing?" has a lot in common with "Can you survive in the wilderness alone?" Some thrive on the challenge, others balk and run back to safety and comfort. Both are valid options based on personal temperament, and the choice between them should never be played off as easy or obvious. Even if you've been rejected by everyone and are going to self-publishing as a last resort, you're still making a major business decision. You could choose to trunk that book and write another instead of publishing. You could choose to forget traditional publishing all together and jump whole hog into self pub. You could land somewhere in between. Whatever you decide to do with your book, never doubt that you are making a momentous decision about how to leverage a project that represents thousands of hours of your time. That's the sort of choice that should be approached with thought and care both for your current situation and your dreams for the future...but, then again, there's no reason it has to be a binary one. A hybrid author is a write who, like myself, has both traditionally published and self-published novels. We enjoy the best and worst of both worlds, which can be a bit of a balancing act since the publishing community doesn't really know what to do with hybrid authors yet. For example, I had to get special permission from my publisher, Orbit, to publish Nice Dragons even though they had nothing to do with that book. The reason for this was that my contract for the Paradox novels, books I wrote under a completely different name, had a non-compete clause that prevented me from publishing anything for a full six months after the last Devi book came out. Thankfully, Orbit was willing to work with me on this (because they are FABULOUS PEOPLE) and I got the book out only a few months late, but this is a good example of the shenanigans you have to go through if you want to eat the grass on both sides of the fence. That said, though, if you can manage it, being a hybrid author is pretty amazing. You get the automatic respect of being a traditionally published author, and your New York books provide a built in audience for your independent titles. 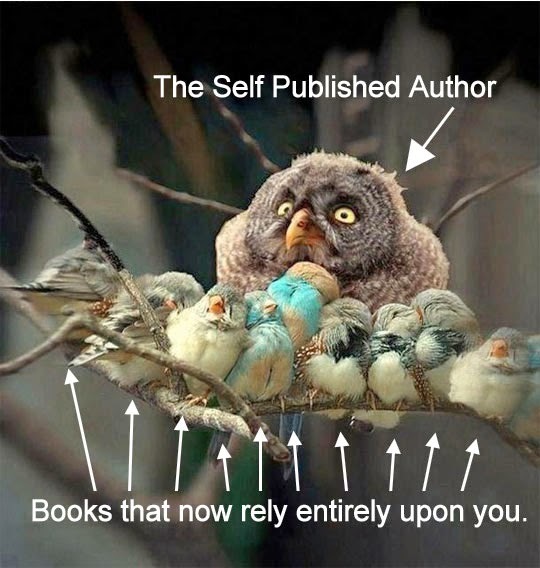 The same applies in reverse for authors like Michael Sullivan who start out self published and then go to New York. They bring a ready made audience to the table when it's time for contracts, which is a much stronger negotiation position than most authors show up with. Whether the hybrid life is right for you is something you probably won't know until you try it, but if you're an author who wants the legitimacy and recognition that comes from being backed by a major house and the freedom and money of self-pub, being a hybrid author will get you there. As with everything that touches traditional publishing, a good agent is invaluable in this, so if you're thinking of doing anything involving New York, getting a good agent is your first step. If you're already self-published, or thinking of doing so first, that might seem daunting, but again, times are changing. Gone are the days where self-publishing was seen as the last refuge of the desperate. These days, coming to an agent with a solid sales record can be a huge mark in your favor, provided, of course, that you have a good new book to back it up. As the stigma of self-publishing fades further and further into the past, the option to have the best of both traditional publishing and self-publishing is only becoming more valid. Some agents and publishers are dragging their heels, but the forward looking ones are already seeing opportunities. Like so many other parts of publishing, the idea that self-pub and trad pub are binary opposites is being disrupted, and I for one am all for it. Anything that gives authors more leverage and choice is A-OK with me! The important thing is that you're doing whatever is best for you and your career. Everything else is details. I hope you found this discussion on self-pub money interesting and informative. Come back soon for the final Writers and Money installment when I talk about the most terrifying aspect of self-employment: taxes and money management. A BLOG POST ABOUT TAXES, GUYS! I'M A LAUGH A MINUTE! A quick note about the RITAs. Those books aren't nominated, as with the Nebula and Hugo awards. Authors and publishers enter books in the RITA competition, which are then judged by published members of the RWA. The RWA caps entries at 2000. Possibly, there are two reasons why self-published authors don't enter the RITAs. First, entry requires hard copies of the book; many self-published authors see no need to produce print copies. (I disagree, but that's neither here nor there.) Second, many self-publishers simply don't take the time to learn about industry organizations, and of the ones who do, many see entities such as the RWA as irrelevant to their personal business as an author. In fact, I've read/heard several self-published romance authors discuss their feelings that they receive no real, lasting benefits from an RWA membership. Thank you for the posts on writers and money! Self-publishing sounds very appealing to me as I'm a bit of a control freak, but the startup is pretty scary. If you don't have trad sales behind you and ergo no built-in audience, there seems to be a big risk of virtually no readers discovering your book even exists. Thanks for the great post and the wealth of information, Rachel! I also wanted to point out that the Amazon royalty rate outside of the $2.99-$9.99 range is 35%, not 30%. Thank you, this has been helpful and given me a lot to think about! Find out how THOUSAND of individuals like YOU are making a LIVING by staying home and are living their dreams TODAY.